When searching for the right knives for your kitchen, it’s not always about picking out the most commonly used knives. Instead, it’s about selecting the knives that you personally need. While average home cooks are content with a regular chef’s knives and a couple of cutting boards, serious chefs prefer to use the right tools for the job instead. Chefs who frequently prep fresh meats in the kitchen, having a boning knife, or bone knife, is crucial to properly detach bones and/or skin from meat. However, what’s deemed the best boning knife for one person may not be the best knife for someone else. The Zelite Infinity 6 Inch Alpha Royal Series is perhaps the best Japanese boning knife of 2018. While it’s on the pricier end of boning knives with an Amazon listing currently at $85.97, it earned #1 New Release in the Boning and Fillet Knives category for its quick-to-rise popularity. 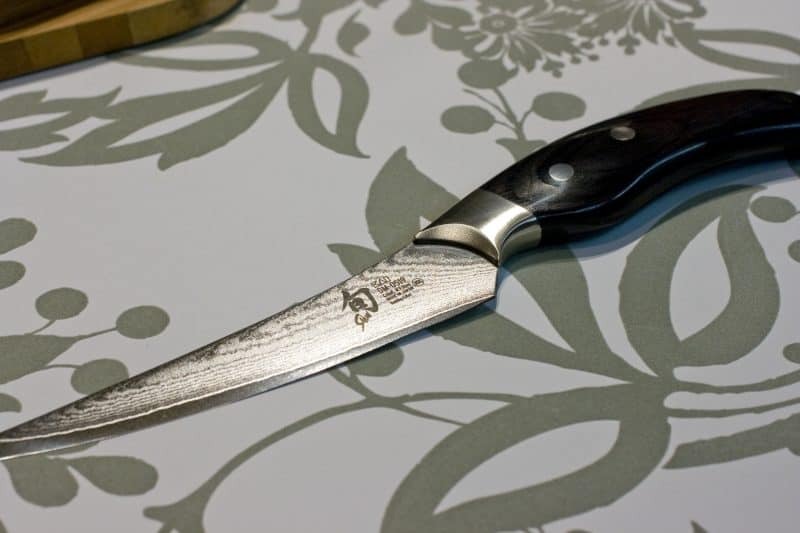 With already over 900 reviews and an average 4.8 out of 5-star rating, buyers are more than content with what the 6″ Alpha-Royal Series boning knife by Zelite Infinity has to offer. This high carbon steel knife is constructed with sturdy, non-stick Japanese super steel that resists stain, rust, and corrosion. 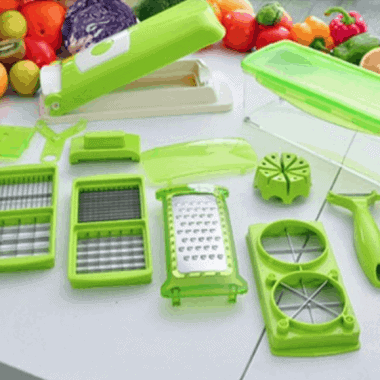 It also features an ergonomic, triple-riveted handle for ultimate comfort and a strong grip. Apart from de-boning, skinning, and butchering meats, Zelite Infinity claims that this tool is ideal for slicing tomatoes, filleting fish, and carving brisket. Customers who have tried the Zelite Infinity’s 6-inch forged boning knife part of the Alpha-Royal Series find that the knife offers the perfect grip, an ideal level of sharpness with an ease of resharpening, and offers a well-balanced and comfortable feel. Some find that the knife is at first heavy, but after getting used to the weight of the knife, it becomes apparent that the ergonomic design ensures the knife is easy to hold and use. In case you don’t love it, however, you can get 100% of your money back guaranteed. 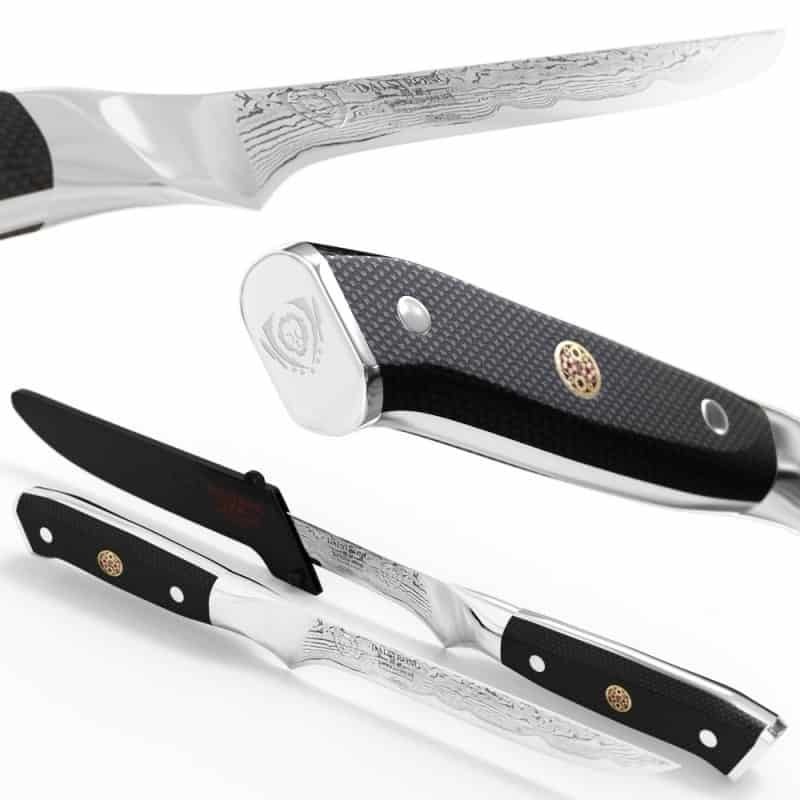 Dalstrong is one of the top knife manufacturers out there, offering kitchen cutlery with a luxurious twist. While the Dalstrong VG10-6″ has a price tag just under $90, the quality is really good. It offers a heavy-duty, Japanese-forged steel blade with a mirror finish, and a premium triple-riveted handle. The attractive design on the blade alone makes the VG10-6″ an appealing addition for any home or professional kitchen. According to Dalstrong, this blade is resistant to stains and corrosion, features a flexible blade, and offers durable construction overall thanks to its nitrogen-cooled blade. With this knife’s curved tip, it ensures every cut made is maneuvered as close to the bone as possible, getting right down into each and every joint. Being military grade, this is a knife bound to last you a long time while maintaining its sharpness for years to come. The Dalstrong VG10-6″ may be on the pricier end of your budget, but know that if you are not pleased, the company offers a 100% money-back guarantee. From looking at the reviews, however, it is highly likely you’ll be disappointed with your Dalstrong purchase. Previous buyers find that the VG10 is substantial in retaining its sharp edge and offers the right amount of pressure for a precise, easy cut. The only thing you’ll be regretting after purchasing this knife is that you didn’t get a gorgeous display case to show it off! For those who want a knife with semi higher-end quality without paying approximately an entire working day’s worth of income, the Mercer Culinary Renaissance 6-Inch Forged Flexible Boning Knife might be a viable option. While its design isn’t as jaw-dropping as the last two boning knives we’ve looked at, it costs less than $30 and still manages to get the job done well without a fuss. This forged blade from Mercer Culinary is constructed with high-carbon, German steel and is resistant to pesky stains, rust, discoloration, and corrosion. With full tang running the entire length of the handle, Mercer claims that this knife will provide the perfect balance when in use. Additionally, the rounded spine of this tool allows for easy, comfortable operation each time. Best of all, this knife is incredibly sharp, sharp enough even for de-boning the thickest, fattiest cuts of meat. Reviewers of this knife find that even after months of frequent use, this knife retains its sharpness. Many will also be glad to hear that this knife, while on the heavier side since it is a German knife, offers a favorable balance between German and Japanese construction as it is still lightweight enough to where it’s not going to strain your fingers while using yet isn’t without heavy-duty quality. Overall, if you’re all about quality but want it at a more affordable price, the Mercer Culinary 6-Inch Renaissance might be the perfect blade for you. The Comfort-Pro Series Gokujo is another incredible boning knife from Zelite Infinity but this time for under $35. If you don’t already know, a Gokujo knife is a Japanese boning blade that doubles as a fillet knife and features a sharp, curved tip but with a wider blade that has a larger surface area than a traditional boning knife. 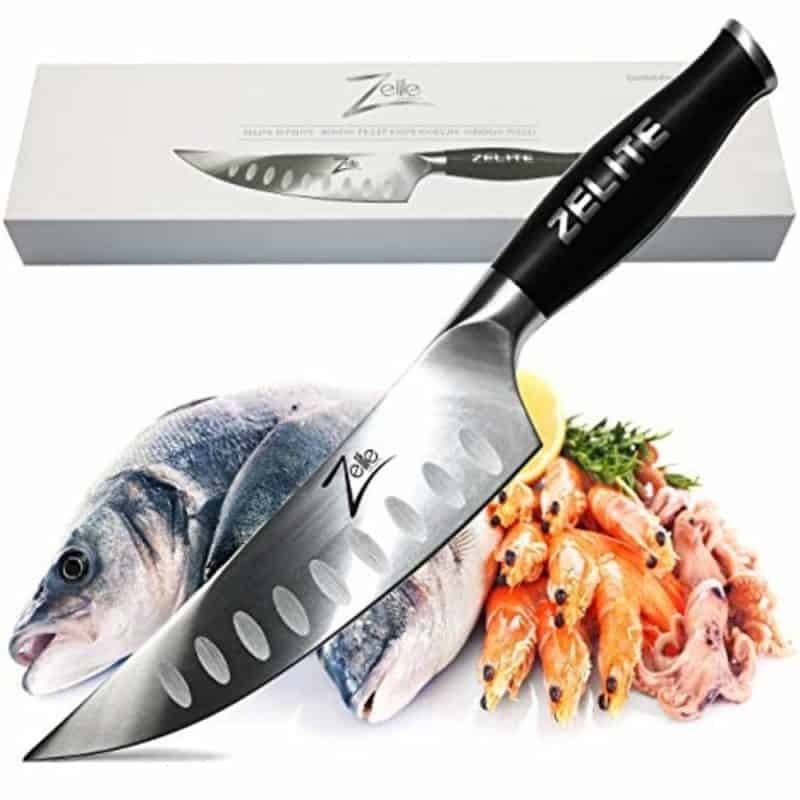 This boning fillet knife from Zelite Infinity has a blade constructed with high-carbon, German, Thyssenkrupp stainless steel with hollow ground to reduce annoying stickage. The thick, heavy blade features phenomenal edge retention and a curved spine to provide both aesthetics and proper function. 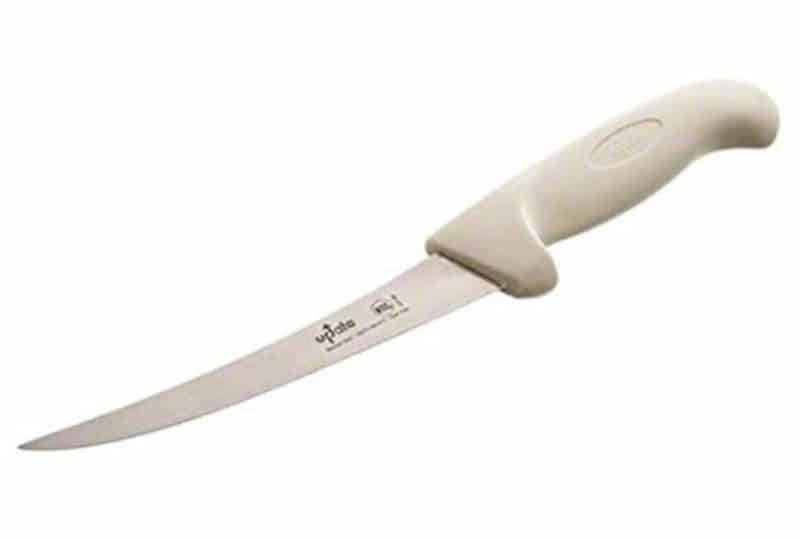 As for the handle on this model, the comfortable, rounded handle gives the user adequate control over their de-boning and filleting while allowing for a favorable grip. Looking at the reviews, many praise this Zelite Infinity knife for being strong and incredibly versatile, as it’s an excellent knife that excels at more than just boning. 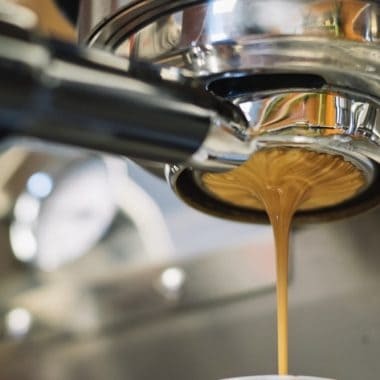 For instance, it can carve meat effortlessly, even the densest of meats like dedicated steak knives, as well as work as a chef’s knife for slicing or dicing vegetables. Overall, with a comfortable handle and razor-sharp blade, the performance of this boning fillet knife is outstanding, especially for the price. This curved knife has a blade made from high-carbon molybdenum steel that is treated to resist rust and have the longevity to maintain its sharp edge. It also features a textured handle for the proper grip to ensure no slip. The antibacterial-infused handle also ensures it is easy to clean as a convenient bonus. UltraSource states that because this tool has both a front and back safety bolster on the handle, this provides ideal balance, safety, and comfort for the user. With an affordable price tag and boasting so many favorable reviews, it’s hard to pass this product up. Users find that this UltraSource blade is surprisingly sharp and just as precise as the company states. One specific thing many reviewers have noted that they loved about this knife is that even when it’s wet, you can still maintain a good grip on the handle. That said, if you value function over aesthetics and brand name but still want great quality and longevity, the UltraSource 6″ Curved Knife might be for you. 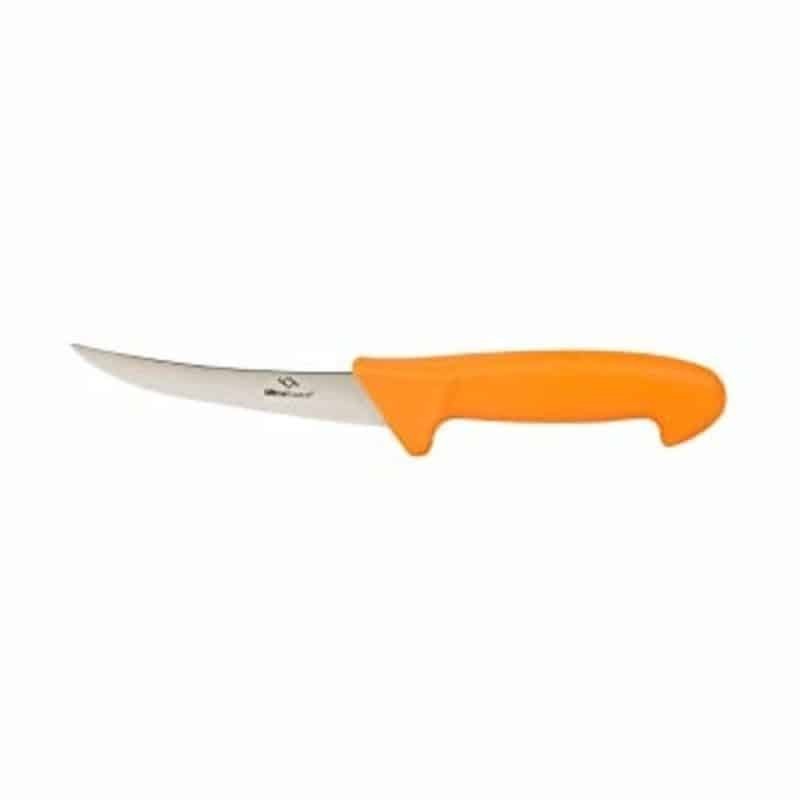 Next, we have the iMarku Professional 6-Inch high carbon steel boning knife, this knife has earned Amazon’s choice on Amazon.com for its favorable 4.8 out of 5-star average rating from buyers. It offers a more simplistic design than many of the higher-end knives but still has an attractive, sleek look. iMarku, the makers of this blade, is highly respected brand in the industry, so that should fill you with confidence from the start. Being only $30, the iMarku Professional 6-Inch knife is definitely a knife worth considering. 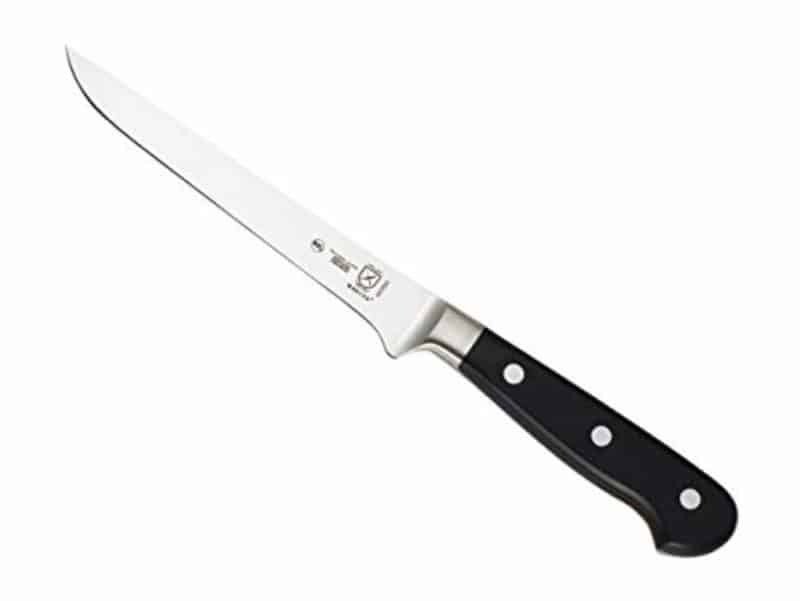 This knife offers stain- and corrosion-resistant, high-carbon German steel with a bacteria-resistant, ergonomic handle. You can also be confident that the blade on this knife will retain its edge for a long period of time before it needs to be sharpened again. While this model doesn’t have a super curved blade as some other boning knives out there, some may find that the straighter blade on this model gives them greater leverage and offers the best of both worlds when using this knife to slice or carve meat. 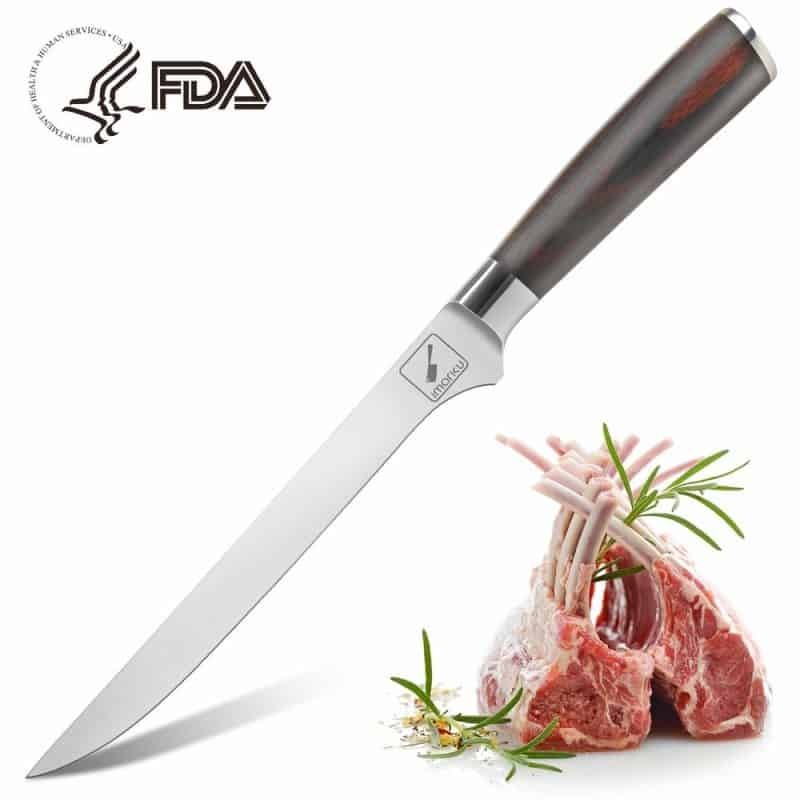 Commonly mentioned benefits reviewers state is that this iMarku 6-inch bone knife has the sharpness to cut into meat without tearing it and that it offers the perfect weight to provide the best performance. While some find that the knife is a bit long for some slabs of meat, others find that it is perfect when it comes to precision, versatility, quality, and ease of use without needing to apply much strength. However, if you fear purchasing a knife like this, keep in mind that iMarku offers a lifetime, money-back guarantee for your benefit. Dexter Russell claims that their Sani-Safe series boning knives offer utmost sanitation and are suitable for commercial purposes. Specifically, their S131F-6PCP 6″ knife apart of this series appears to provide quality beyond its less-than $25 price tag. It earned Amazon’s Choice on Amazon.com and has an average rating of 4.7 out of 5-stars. This Dexter Russell blade offers thin-yet-sharp, high-carbon steel blade that is said to be resistant to stains. With its bacteria-resistant, ergonomic Grip-Tex handle, this knife offers top-notch comfort and won’t slip while being used. Best of all, this Dexter Russell boning knife is highly versatile in that it can withstand both cold and hot temperatures and retain the perfect grip in both dry and wet environments. As a bonus, this knife is made in the United States, implying that it offers American materials, quality, and craftsmanship. According to reviewers of this Dexter Russell model, this is a lightweight, easy-to-hold knife whose curved blade makes it simple to separate layers. However, while provided by trustworthy Dexter Russell, some claim that the steel is on the thinner side on this model. However, with consideration for the great cost and general function of this knife, from its ease of cleaning to its great flexibility, it makes sense why this is one of the best boning knives out there. This 7-inch, high carbon steel boning knife by TUO Cutlery is a great bone knife within a moderate price range just under $40. This Chinese-styled knife offers high-carbon, German stainless steel that is resistant to rust, wear, and corrosion. 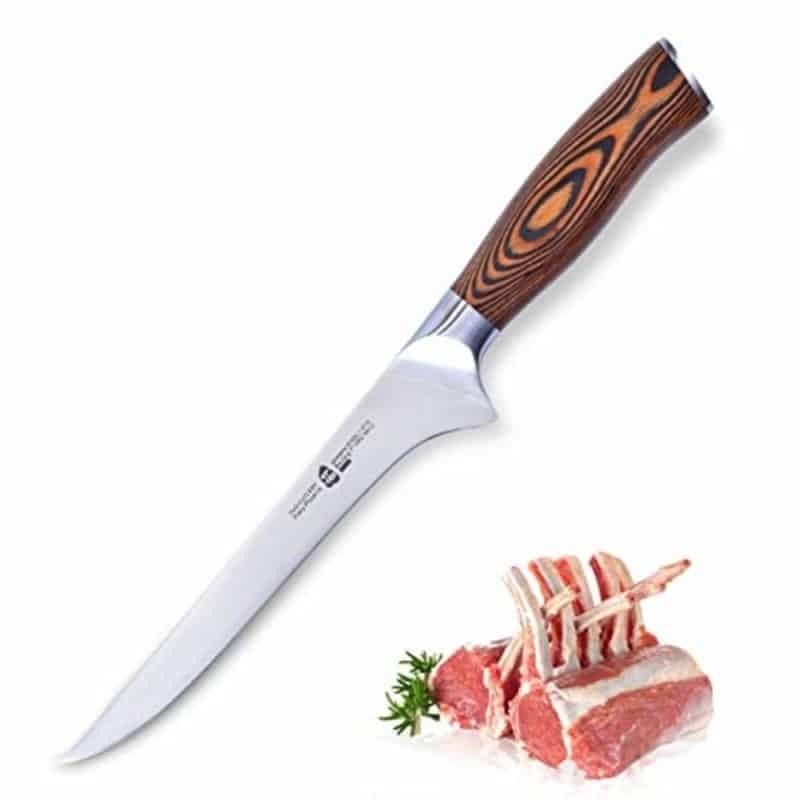 It features the perfect aesthetic mix between modern and traditional with its sharp, slightly-curved blade and wooden handle. 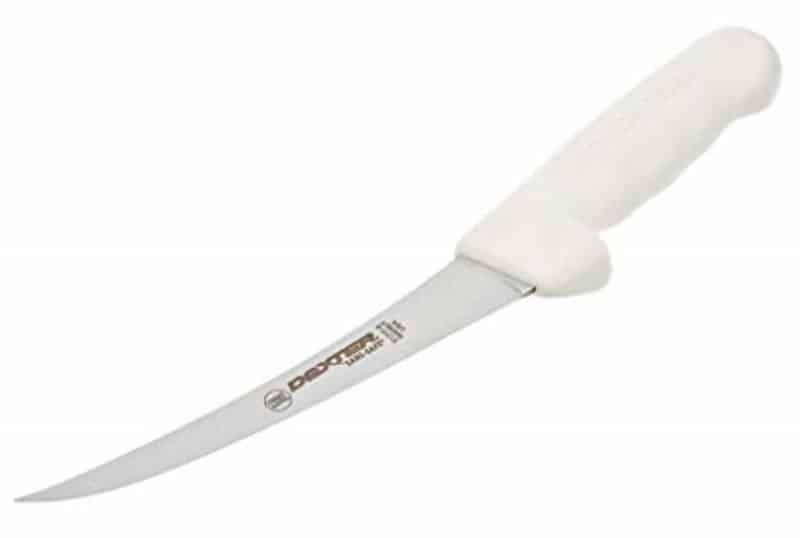 While most boning knives are 5- to 6-inches long, this one is 7-inches, making it ideal for not just deboning meats but also for filleting larger fish. Thus, the versatility of this knife can be well-appreciated. Additionally, the narrow blade design of this knife ensures maneuvering is quick and easy. Coming to the handle of this bone knife, it’s constructed with an ergonomically-designed, oil-proof, corrosion-resistant Pakkawood handle. Pakkawood is a plastic- and wood-based material that looks quite similar to solid wood and is commonly used on knives. This material is both beautiful, dense, and sturdy, making it great for kitchen tools. The TUO Cutlery 7 Inch knife may be great for deboning meats; however, it is also great for de-shelling lobster and slicing meats as it can cut through anything like butter. Reviewers also find that the weight, edge retention, grip, and balance of this knife is exceptional for the price. While TUO Cutlery may not be as popular as other knife manufacturers out there, this TUO 7-inch boning knife is a great buy that you’ll surely get your money’s worth out of. If you’re looking for a higher-end Gokujo-style, Japanese fillet knife, the Shun TDM0774 Premier might be a good purchase to meet your wants and needs. This corrosion-resistant Shun boning fillet knife is originally $175, currently on sale for $144.95 on Amazon.com. While it’s a more expensive knife, and out of some people’s price range, it has the quality and longevity for even a professional kitchen. Coming to the specifics, this Shun blade doesn’t skip a beat when it comes to quality. From its walnut Pakkawood handle to its 64-layered stainless-steel blade featuring a hammered Tsuchime finish, the Shun TDM0774 has both the beauty and the craftsmanship buyers would deserve for a knife in this price range. The double-bevel, flat-ground blade is thick and long enough to fillet while its sharp tip and angle make it ideal for deboning any fish or meat. Most reviewers love the Shun TDM0774 for its well-made, extra sharp blade, as all Shun knives offer. While this knife appears heavy, users state that it is lightweight and easy to hold and use. Due to its beautiful appearance, reviewers also state that this is a great knife to store on a magnetic strip and show off. Shun knives are highly admired and quite popular, which is why it can command a higher price tag over other knives in the segment. The last knife we’ll cover, and the most affordable on this list, is the Update International KP-04. While only priced at $6.99, this is a good knife if you want something simple and don’t need jazzy aesthetics for you to lock in your next knife purchase. In fact, this knife must have great quality considering it has an average 4.6 out of 5-star review from over 240 reviewers on Amazon. This 6 inch knife isn’t as flimsy as some may presume it would be. It features high-carbon, German steel with molybdenum vanadium. Its curved, professional-grade, stain-free blade is hand-honed to provide an excellent cut. It’s also safe to say that the Update International blade is NSF-listed, meaning that it has been tested to ensure proper safety. While this isn’t the best looking knife out there, you will be getting a capable blade at an incredibly affordable price. Users find that the sturdiness-to-flexibility ratio is perfect on this knife to tend to both thinner and thicker meats and fish. Not surprisingly, many reviewers were shocked that for such a slim price, this Update International boning knife is sharp enough and comfortable to use even to cut fruits and vegetables. Even clean-up and maintenance is simple with the Update International KP-04. An affordable knife with fair quality that doesn’t need to be resharpened often and cleans effortlessly: what else could one want? Picking the best knife may appear to be a no-brainer. However, with so many options at hand, it may be stressful. On top of that, knowing whether or not you would even need a special knife may be something you are still unsure of. Here are some FAQs to help you with your decision making! Using a boning knife is easy. With one hand on the meat that you are about to cut with your fingers curled and your other hand on the knife, slice the meat away from the bone by sawing back and forth. To make it easier, place your index finger on the top of the knife as you are cutting to ensure the stability and the right amount of pressure are applied. Once the meat is separated from the bone, use the knife to separate fat, skin, or other inappropriate pieces from your cuts. You may use the bones to make broths or soups or may instead simply dispose of them after finishing deboning your meat. Is a boning knife necessary? While a knife like this is not entirely necessary, it is the best knife for cutting meat bones, skin, and fat away from your meat prior to cooking. It does help get the job done smoother, but many still get away with using a chef’s knife or steak knife for deboning their meat. Can you use a boning knife for filleting? Yes, a bone cutting knife can also be used for filleting. Some boning knives are actually designed to both de-bone and fillet as they offer a sharp tip and a wider blade to do both jobs. Knives on our top 10 list that are both boning and fillet knives include the Zelite Infinity Boning Fillet Knife (Gokujo) – Comfort-Pro Series and the Shun TDM0774 Premier Gokujo Boning Fillet Knife, 6″, Silver. How to sharpen boning knife? When sharpening blades for the first time, make sure you follow directions correctly. Arm yourself with a capable knife sharpener and find a tutorial or video online to ensure you do it right. But boning knives are pretty much the same as sharpening any other knife. You may wish to take your dull knife to a professional knife sharpener in your area instead. Some kitchen supply stores may also offer knife sharpening services. Where to buy boning knife? Boning knives can be purchased from a general merchandise store, home goods store, kitchen supply store, or online from either the manufacturer’s website directly or from large retail websites like Amazon.com – and take advantage of free shipping! Keep in mind that warranties or return policies may be no longer valid if you purchase a knife anywhere other than the from the manufacturer themselves. What size boning knife is best? Most boning knives have a blade that is 5- to 6-inches long while others may be up to 9-inches long. Some blades may be thick; others may be very thin. But there is never a one-size-fits-all when it comes to boning knives. If you want a bone knife with a more flexible blade, you might want to select a knife that is shorter. Additionally, you would want to use a longer, thicker knife for thicker, larger meats while a shorter, thinner one for things that are more delicate, like fish, or require thinner slices. The size of your hands and/or how much pressure you use might also be indicators of the knife size you may work best with. Who makes the best boning knife? 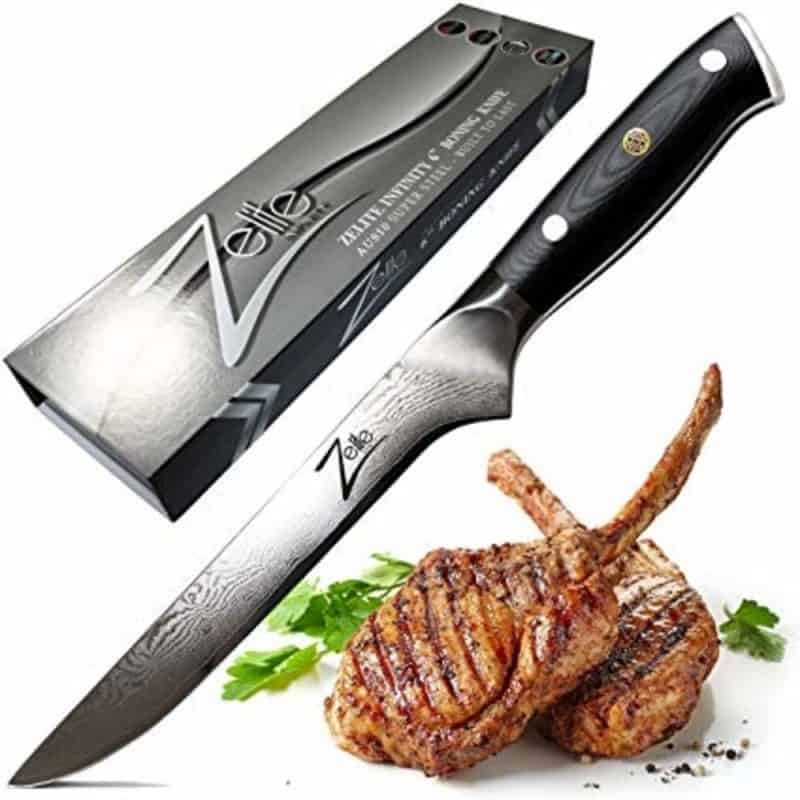 The best boning knife from the above top 10 list based on both ratings and popularity is the Zelite Infinity 6 Inch – Alpha-Royal Series. On Amazon.com, it has earned #1 New Release in Boning and Fillet Knives after earning an average 4.8 out of 5-star rating from 900+ reviewers. Apart from Zelite Infinity, other popular brands include Dalstrong, Mercer Culinary, and Dexter-Russell. However, remember that picking the best boning knife is not merely about how others feel about it, but most importantly, how you feel about it. While you should check out the reviews before purchasing a knife, also consider your own wants and needs.